The safety of fluoridation for caries prevention is being defended in a recent commentary that claims that the meta-analysis of 27 studies had been “severely criticized”, although this critique is not further explained. As evidence of safety, the authors refer to a New Zealand study that “found that fluoridation is not neurotoxic for either children or adults, and does not have a negative effect on IQ”. This interpretation is rather optimistic, as the statistical confidence limits suggest that a loss of 2-3 IQ points could not be excluded by their findings. Dr. Grandjean is being conservative. 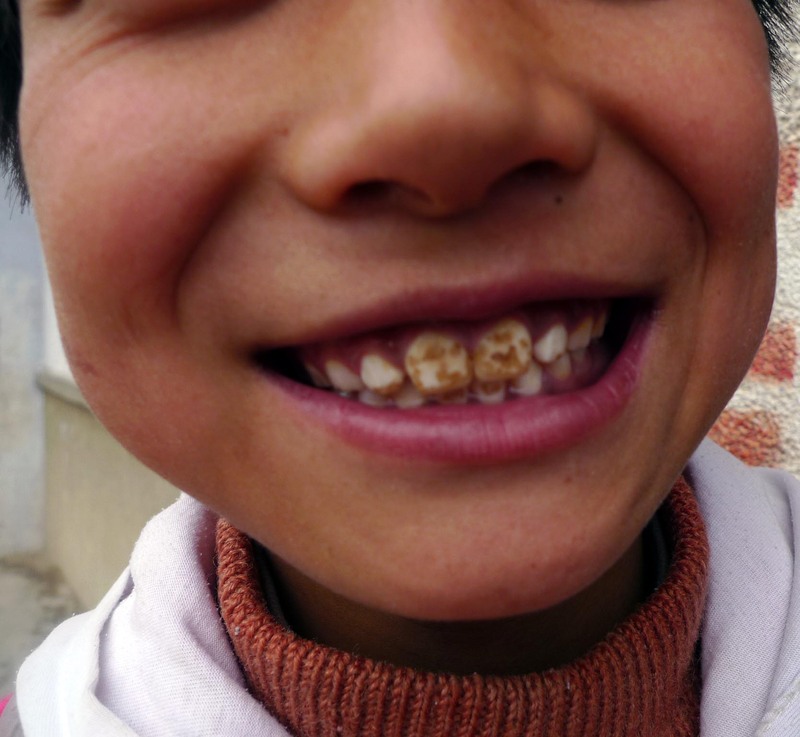 Dental fluorosis, the visible sign of fluoride toxicity during formative childhood years claimed by dentists to be only a “cosmetic” concern, also has a racial component. According to the CDC, it affects 36% of white and 58% of black children. Also, the most severe forms of dental fluorosis are mostly seen in non-white populations, Blacks, Native Americans and Hispanics. That’s why Civil Rights leaders oppose community water fluoridation. BTW: Severity of dental fluorosis also correlates with increase bone fracture rates. Per Heller et al. in the Journal of Public Health Dentistry (1997), very mild fluorosis almost triples non-traumatic bone fracture rates and severe fluorosis (almost exclusively seen in non-white and poor children) increases fractures by nine times. The citizens of the U.S and other Fluoridated countries should not be forced to drink Fluoride. This should be an individual choice, just like taking Vitamin C or any other supplement/vitamin or mineral. Fluoride is BIG Business and they care only about their bottom line, not the safety and health of the people. We all need to wake up and protest against this insanity. Call your local Water Engineer and ask them how much Fluoride they add to your water? Keep up the good work! It is astounding that the dental community continues to think that fluoride, a known neurotoxin, only impacts teeth. Just last night, a DMD testified to the Gloucester City Council that there are no “peer reviewed” studies documenting that any harm occurs, that fluoride does not pass the placental barrier, and that dental fluorosis is only a minor issue only detectable by dentists. All patently false and all refuted by this excellent, if horrifying, study.